A bait I have a ton of confidence in nowadays has quite an interesting backstory. Last winter at my high school bass fishing team's expo we had a vendor who sold baits from Japan, he is the only dealer in the US for this company (http://www.itsumofishing.com/) and has a pretty small operation, but the concept was cool and the baits looked nice so I tried a couple out. It took me a while to figure out how to rig them, and what presentations they work for, but now that I have it pinned down, woah, definitely not something I will ever head to a body of water without. 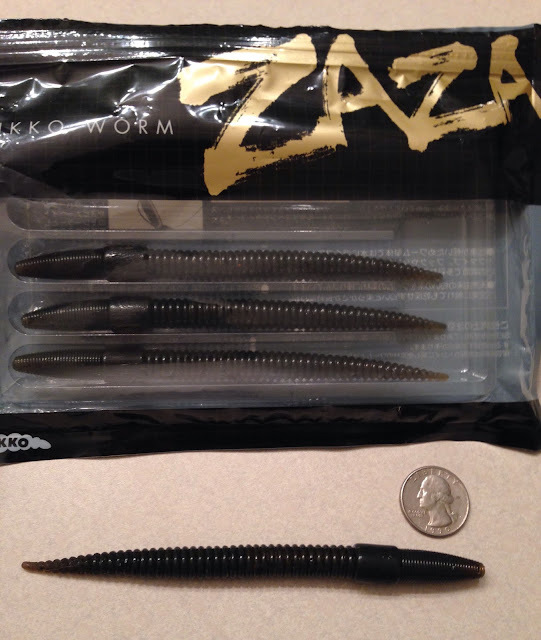 My favorite bait from Nikko Baits is the 6" "Bass worm". It's about the diameter of a senko but it is a floating worm that I have found to be absolutely deadly on a shakey head. All Nikko Baits are made out of an elastic material that will hold up to lots of fish, I average 30-40 bass on each worm before the bait is "spent". The baits are also biodegradable so if you lose one you don't have to worry about your bait swelling up to 5 times its original size and then being consumed by a bass, which usually doesn't end well for the fish. 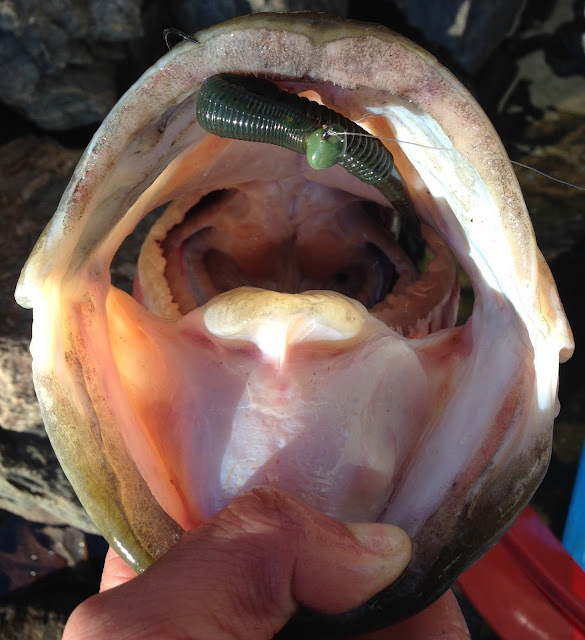 I rig the worms on a Strike King football shakey head, the baits are hollow so screw-loc shakey heads won't work (those darn things prevent you from hooking fish anyways!). The 1/8th and 1/4th are the only sizes I have used, they seem to cover most of what I do which is 0-20' of water. I fish a lot of rock and brush with these, and the hollow body makes a shakey head MUCH more weedless than a solid bait, when I rig it I just pop the hook through one side of the bait, and the other side makes a very good weedguard, but not to the point that it prevents you from hooking fish. These worms are the only ones I have successfully fished in and around beaver huts on a shakey head. The action of these baits is incredible, they stand straight up when they are on the bottom and the bait moves with any action imparted from the rod tip. That probably sounded like a sales pitch for the banjo minnow but it's truly my honest opinion about the baits, I'm not benefiting from this I just want to put the information out there because it really is a bait that deserves recognition. I bought $50 worth of them about a month ago that will hopefully last me until I need to buy more!